Lilah (age 8 at the time) loved the first Upside-Down Magic book by Sarah Mlynowski, Lauren Myracle, and Emily Jenkins. And I mean LOVED it. I appreciated the message and thought it was cute, but she loved it. I think she reread it immediately after we finished reading it aloud and asked regularly if the sequel was out yet. She repeated jokes from the book and said things out of the blue like, “Remember when Nory turned into the dritten? That was so funny!” I spent probably excessive amounts of time trying to figure out why I didn’t love it the way she did. It’s an easier reading level than say, the Harry Potter books, shorter (208 pages), and geared a bit younger, but there are similar series (the Imaginary Veterinary series by Suzanne Selfors is one) that I find immersive and engaging instead of plodding through. Naturally, after the sequel was out, we needed to reread both books after reading #2, giving me a chance to sort out where the series disappointed me. In short, there’s so much potential, but the follow through is superficial, and that’s a shame, because the well-executed parts really shine. I’m not sure if it’s a problem of fiction-by-committee (three authors for 200 pages seems excessive), or a focus on the message (diversity is good; be yourself) at the expense of character development and world building. The message is a good one, and the series stands out in its diversity (both in magical ability and in race/background). 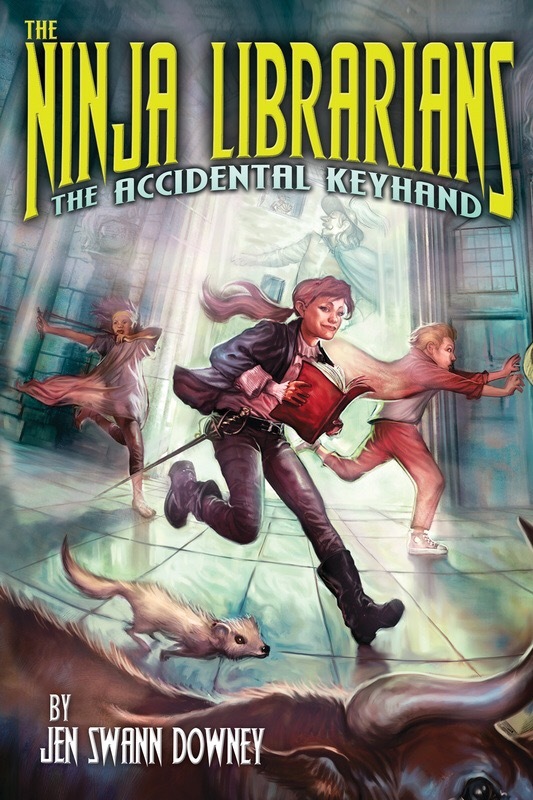 The first book is told from the point of view of Nory, a Fluxer (Fluxing is one of five types of magic, involving changing into animals) whose magic is “wonky.” She tries to keep her magic under control for her audition for the fancy school where her jerk of a father is headmaster, but she turns into a dritten (dragon + kitten), so her father sends her to live with her Aunt Margo to go to the Upside Down Magic class at a public school in another town. This *inappropriate language redacted* not only refuses to talk to her, he’s forbidden her siblings to contact her as well. Yet Nory is barely bothered by this. She thinks about it a couple of times, but it’s not the huge looming presence in her life you’d expect. I have so many questions about this world and the nature and history of upside down magic. There are five types of magic, and children first demonstrate their type around their tenth birthday. The next school year, they switch to magic school, where along with the usual school subjects they learn their particular type of magic. Until that time, I guess they just try to control their new magic? 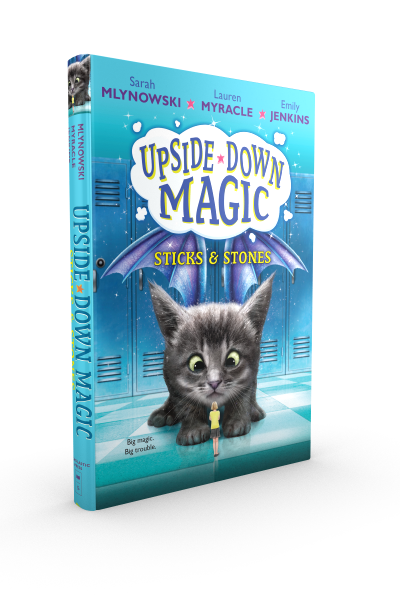 At schools with no upside down magic (UDM) class, what happens to kids with unusual magic? Are they sent away somewhere else? Are they left to struggle in their assigned class? This isn’t clear. Does type of magic and/or unusual magic run in families? Also unclear. They don’t seem to learn much about magic up through grade four, or be prepared for the possibility of unusual magic, so it’s unclear how unusual it is to fall outside normal parameters for a magic type. Ms. Starr refers to a time when unusual magic was revered, but there’s no explanation as to why this changed. The lack of worldbuilding is so frustrating. The first book focuses on Nory getting used to the other UDM students and dealing with being called names by the normal students. She and Elliott, an upside-down Flare, decide to try to pass as normal and get out of UDM. In the second book, the point of view is split between Nory and Bax, a Fluxer who only turns into a rock. Splitting POV in a 200-page book makes things even more superficial. The main plot is a mystery: someone is turning things to stone at school and the UDM kids are suspected, so the resident mean girl starts a petition to get rid of the UDM kids as too dangerous. The solution proves to be fairly obvious (to me and to Lilah). A secondary plot involves individual tutoring for the UDM kids, and this is where the potential of the series is really obvious. Nory and Bax are assigned to Coach, whose rah-rah attitude, obsession with Kittenball (the sport of young Fluxers; professional-level is Tigerball), and belief in healthy foods makes him a caricature at first. He’s excited about having Nory’s dritten on the Kittenball team and ignores Bax at first. But he quickly becomes a more nuanced character, with real insights and compassion for Nory and Bax. This character development stands out in the series, and by comparison other characters seem like sketches. Lilah gives this book all the stars for creativity, but I’m rating it only okay. Maybe the third book will improve on the limited worldbuilding and lack of character development, but I’m not optimistic. Great idea and message, so-so execution. 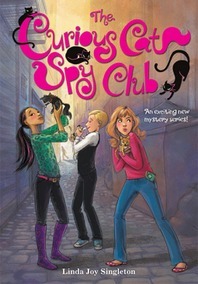 Lilah (age 9) and I read this sequel to THE ACCIDENTAL KEYHAND out loud. For me, it took a while to get moving, but it held Lilah’s interest from the start. Here’s what happens when you buck middle-grade fantasy tradition, which prefers dead, absent, or oblivious parents: the observant and involved parents have to be convinced to allow the heroes to pursue their fantastical adventures. This takes the first two chapters, which dragged a bit for me but sums up the backstory and first book well. Then the third chapter is getting through the public library, and then we’re finally back in Petrarch’s Library. From this point, we were constantly disappointed when it was time to put the book away for the night, and we stayed up too late more than once. Dorrie is poring over the available practicums, including “Swords, Daggers, and Coffee Can Tops: A General Survey of Sharp Edges and Their Uses,” “Codes, Invisible Inks, and Smoke Signals: Keeping Communication Maddeningly Secret,” and “Damp Dungeons, Desolate Moors, and Dreary Parties: How To Survive Inimical Environments With Style,” when she learns she won’t be apprenticed to Savi, her beloved sword fighting tutor. 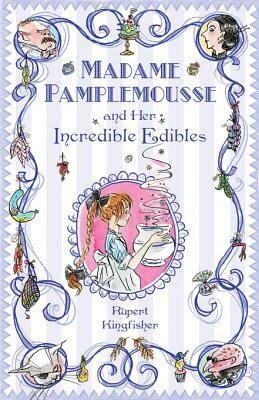 Instead, she’ll spend the term assisting the Archivist, a crazy old man who reads excessive quantities of oranges out of books. 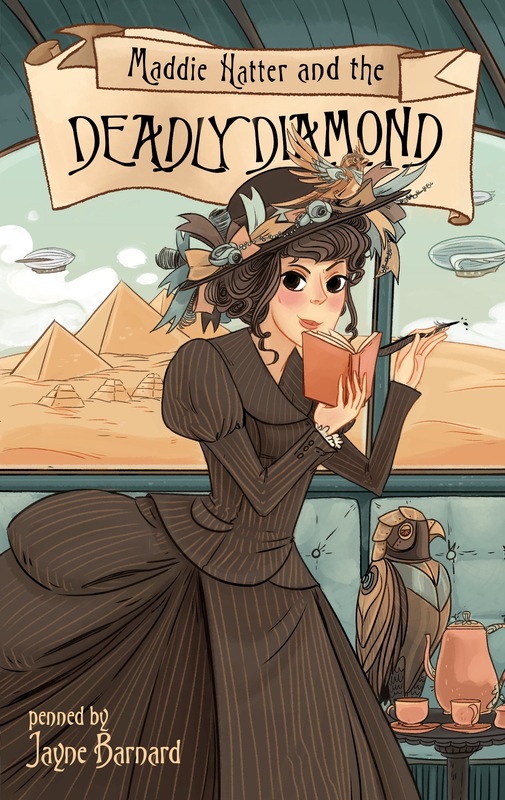 But she, Marcus, and Ebba are too busy for Dorrie to dwell too much on this: they have an Athenian musician whose fate they are sort of responsible for, a secret or two hidden away in a new library, and an anti-suffragette newspaper to save. Meanwhile, the Foundation is gaining power it plans to use to take control of the written word in all wherens (time-places). The sibling relationship between Marcus and Dorrie is believable and often funny. Marcus’s crush on Egeria adds plenty of comic relief in the midst of serious adventures. There is a really interesting discussion of means and ends–in the context of whether to torture a prisoner to save other lives–that was quite well done and sophisticated for a middle-grade fiction book. There is also a discussion of the importance of defending all writing, even abhorrent writing, that runs through one of the main plotlines. And another theme involves the true meaning of courage in the face of fear, so the comic relief is very welcome. Downey balances the lighter “magical boarding school” elements nicely with the “fighting evil” plot. Dorrie, Matcus, and Ebba get away with really impressive amounts of rule breaking with few consequences, and I occasionally found myself thinking the library needed a McGonnagal or a Snape patrolling the corridors, but this is a minor quibble. We couldn’t wait to read the end, and then we were sad it was over. One last plot twist at the very end should wind up being very important in the third book, and Lilah and I actually gasped at the revelation and then sighed over having to wait another year or so for the third book. Highly recommended, but it’ll be more fun if you read THE ACCIDENTAL KEYHAND first. Source disclosure: I received an e-galley of this title via NetGalley. 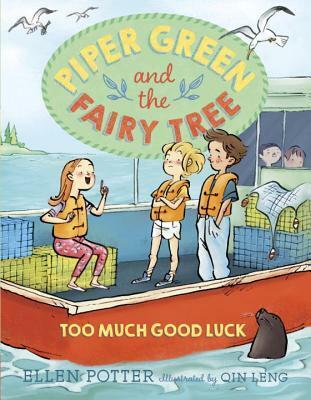 I gave this one three stars on Goodreads because Lilah (age 9) loved the first one and was happy to return to some of the same characters. There’s also a plotline about banning books that, while simplistic, spurred a good conversation about censorship. But the sequel lacks the charm of the first book, has fewer puzzles to solve, and suffers from a less compelling plot, all of which makes the flat characters and lack of character development harder to ignore. Kyle Keeley and his friends are enjoying the fame they attained in the first book, but all across the country, kids are complaining that it’s unfair and they could have done better. 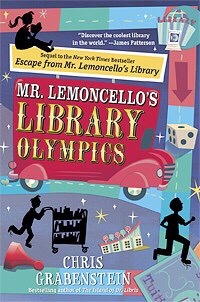 Mr. Lemoncello decides to organize the first Library Olympics to pit carefully selected students from various parts of the US against Kyle and his teammates in a series of challenges, with college tuition as an incentive to win. The most memorable competitor is Marjory Muldauer from the Midwest team, a snotty know-it-all with the Dewey Decimal System memorized, determined to take down Kyle and friends. Meanwhile, Charles Chiltington and his mother are trying to take control of the fantastic library and make it boring. There are too many contestants (32) and too many games (12), and the fun is simply stretched to the breaking point. 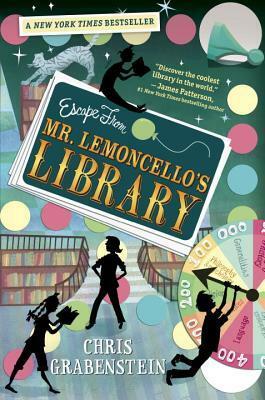 In the first book, Mr. Lemoncello is the Willy Wonka of books; in the second book, he was so over-the-top that he annoyed me (but not Lilah). The Olympics kicks off with a book cart relay race, which wasn’t particularly fun to read about, and progresses to a few interesting games along with others like paper airplane folding and video games that fell flat for me. A couple of the games are just summarized. Very few of the contestants have any real presence in the book, so I’m lost as to the reason for including so many. One character from the first book is abruptly removed. There are some ridiculous plot twists at the end to wrap things up neatly, if somewhat predictably. There is an emphasis on banned books and freedom of expression that partly overcomes these disappointments, however. 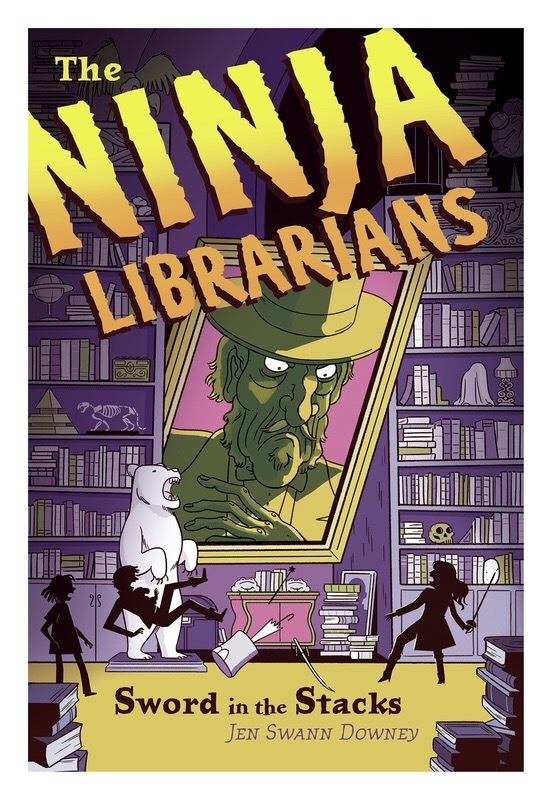 And the portrayal of books and libraries as fun places is always a good thing. Lilah wants me to write that the book was really fun, and she’s in the age range for it, so perhaps I’m overly critical. 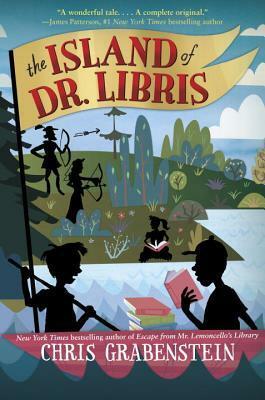 But there are middle grade books I love reading aloud, and others I can’t wait to be done with, and this was the latter. 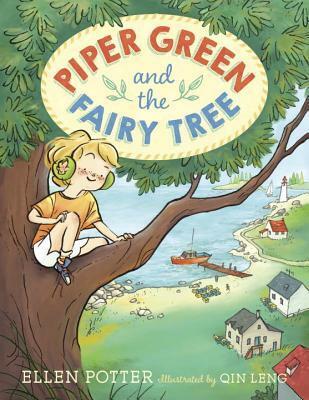 We will definitely be checking out Flora and Ulysses, which plays a prominent role in this book.